Some people in Ethiopian cities have money to pay for uniforms books and school supplies. What do you know about education in Ethiopia? Do you have any idea about it? There are a lot of interesting things you will learn about education in Ethiopia. In Ethiopia there are government schools and private schools. Anyone can go to government schools if the schools are available, but there are a lot of differences from privates schools. Pupils who go to private schools learn more and also get higher education, but they have to pay a lot of money for it and very few students can make it to this goal. The official education is eight years of elementary school, four years of senior secondary school, and two years of college prep. 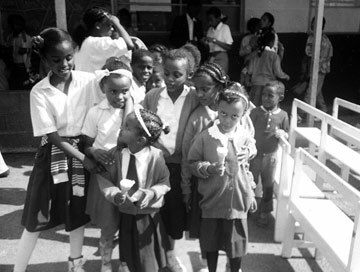 Most of the children begin school at least when they are at the age of five or six. In some government schools an average class size can be one hundred students for each teacher. In a good private school an average class size is twenty to thirty students per teacher. At some schools materials are available for each student like pens, pencils, paper, and books. But it’s likely that most of the school’s, students don’t have a chance to get school materials like other students get. There are many parents, guardians, and teachers who use corporal punishment to maintain discipline because they believe punishing children who have bad habits is good because it will change them to learn good things. There is a lot of poverty and in some places still school isn’t available. Some students have to walk, two or three miles or maybe more. However, since supplies are so uncommon, a good education is not available to everyone. Children often get frustrated and drop out. Children in Ethiopia who attend higher education are luckiest and the most privileged because they have more paths and have many opportunities to do many things. 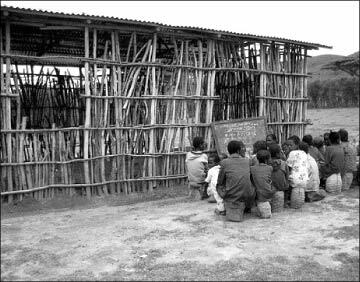 In rural areas in Ethiopia there are school that have little money and no school supplies. There are a lot of people in Ethiopia who feel work is more important than education and so some children start to work at a very early age and they have little or no education. Children in rural areas are less likely to go to school than children in towns. A lot of rural families don’t send their children to school because guardians and parents believe that while their children are in school, they can’t donate to the household chores and income. In recent years, education in Ethiopia has changed tremendously because the government has tried to build more schools and get more children in school. Also the government is trying to make improvements in the educational system in Ethiopia, but these changes are happening at a very slow rate. Before the education in Ethiopia gets better, there are many things that must be improved like getting supplies for each student who is unable to pay and build more schools everywhere so everyone can get a chance to attend school. Also parents have to encourage their children to be educated to help them fto be successful in their lives.